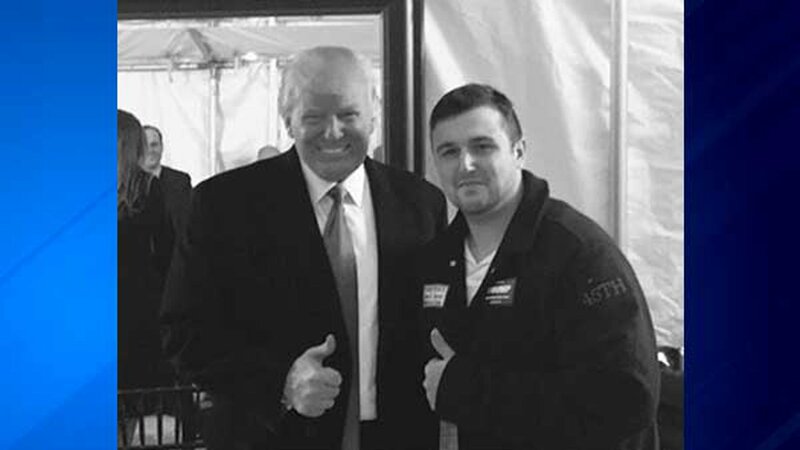 STONINGTON, Ill. (WLS) -- A 24-year-old single father from downstate Illinois reportedly received a $10,000 check from President Donald Trump as a thank you for his work as a volunteer on his campaign. In an interview with ABC News on Inauguration Day, Shane Bouvet, of Stonington, Ill., said he met Trump on the evening before his inauguration. The meeting was arranged after Trump reportedly read a profile on Bouvet, who spent his nights working as a FedEx courier and his days volunteering for Trump. "I'm just a middle-class, blue-collar guy and I'm getting to experience some history," Bouvet said of the invitation. During the meeting, Bouvet said Trump thanked him for his work and even called his father, also named Donald, who has bladder cancer. "He called my dad and he said, 'Hey Don, I like your name,'" Bouvet said. Then, Bouvet said he offered him a generous gift as a thank you for his work on the campaign. "He ended up giving $10,000 to me and my family for medical bills," Bouvet told ABC News. "He changed my life forever. I can't even describe the words, how I felt at that time. I gave him a bear hug." Bouvet told the Washington Post that the check Trump promised arrived in the mail on Monday with a note that said: "Shane - You are a great guy - thanks for all your help." He said he plans to use the money to pay for his father's chemotherapy.